Carpal Tunnel is painful and can cause mobility limitations. Dr. Justin Davis works with specific therapies to treat this syndrome everyday. There is finally some relief for carpal tunnel sufferers that chiropractors are beginning to use more regularly. Although there are few chiropractors in the Tigard OR area that truly specialize in carpal tunnel, it is certainly something that Instrument Assisted Mobilization continues to help with, and something we do here at Elevation Chiropractic. Wrist and hand pain and numbness in the wrist is very common, and is something Chiropractors can help with using the Instrument Assisted Mobilization, along with home rehabilitation to help. Many times the wrist pain and numbness/tingling is not actually a true carpal tunnel syndrome, but actually a combination of problems leading to what is referred to as neuritis. This is where several different causes can create the symptoms in the hand and fingers, usually tight muscles, ligaments, and joints. However sometimes it is a true case of carpal tunnel syndrome, but regardless the Chiropractors treatment we apply is similar for all cases: loosen up the area with Instrument Assisted Mobilization tools. Once the muscles, tendons and ligaments are moving better – with less scar tissue – then further home care rehabilitation can be applied. This is why here at Elevation Chiropractic, we not only use Instrument Assisted Mobilization for the carpel tunnel syndrome suffers of Tigard OR, but also teach rehabilitation exercises and self care to help deal with the complaints from coming back. What is “Instrument Assisted Mobilization”? The demonstration video above is just one of the treatments Dr. Justin Davis did on this particular patient at our Tigard OR location; it gives a good quick version of what Instrument Assisted Mobilization looks like for a carpal tunnel sufferer. The video goes briefly into the different ways the Instrument Assisted Mobilization is applied by chiropractors or physical therapists, including to surrounding areas of the arm outside of the carpal tunnel. We did not include the rehabilitation component of the treatment, but making sure a patient has good home care is definitely a great way to help solve the problem as quickly as possible. This is a great treatment for anyone suffering from carpal tunnel syndrome, or general arm and hand numbness or tingling. 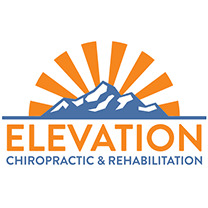 If you, or someone you know, has these complaints and are looking at different chiropractors in the Tigard OR community, please call our office at 503-206-4620 to setup a consultation at Elevation Chiropractic. Looking for Advise on Car Accidents? Start here.